Before you start on your IVF treatment, your doctor informs you about what is involved in the entire process and counsels you about how there will be ups and downs and how you will have to be emotionally and mentally prepared to get onto what is no less than a rollercoaster ride. The world looks good when you are at the top of that ride but if the treatment fails, you feel like you are crashing into the trough at high speed. Fertility challenges always feel hectic, surreal, heartbreaking and crazy. You may feel out of sync with the world, and the situation is aggravated if all your friends and people you know have moved smoothly through marriage and have built a home and had a child/children. This is when your mind takes you on another rollercoaster ride and you go through the loops of self-doubt & frustration and the spins of depression and anger. You start blaming yourself, your partner, the doctor, the medication and the treatment as well as your luck and destiny. All of this is natural, and I wouldn’t say it’s wrong to feel this way. However, in the same breath, what I would like to say is that you have to start asking yourself how you are going to pull yourself out of this “quicksand”, because the more you wallow in your grief and flail around, the deeper you will sink into it. Here are a few strategies that will help in transitioning your experience from a reactionary one to one that is more action-driven and will help you build resilience and bounce. • Stop Blaming Yourself- Get rid of this habit of blaming yourself for your circumstances and don’t attach too much of importance to taking responsibility for everything that happens in the course of the treatment. Some of this blame is self-inflicted while the other, absorbed from what people around you are saying to you when the IVF treatment fails. Start banishing all those questions that cruise through your mind like- Why can’t I conceive? What’s the matter with me? Why has the treatment failed? Was it something I did or ate that made me miscarry? All these things are easier said than done, and you may not always be successful in dissociating yourself from situations and experiences while you are getting IVF treatment and meet with failure. The key point here is that even if you do absorb these negative vibes, learn to get them out of your system- speak with someone you can trust and who will listen(don’t expect or ask for solutions). Keep yourself engaged in working, exercising, doing the things you love to do. 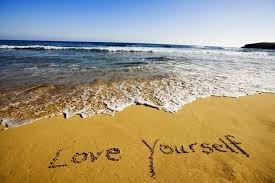 In short, make a conscious effort to love yourself a little more and do this by acknowledging, observing and transitioning through all the present feelings regardless of where they originated from. On the face of it, this may not seem like medical advice, and in the strict sense of the word- it’s not. But while you are going through IVF treatment, overall wellbeing becomes as important as the actual treatment itself! Need support during your IVF journey to make sure you are on the right track ? Please send me your medical details by filling in the form at www.drmalpani.com/malpaniform.htm so that I can guide you better !